When you hear the word “the web,” what crosses your mind? 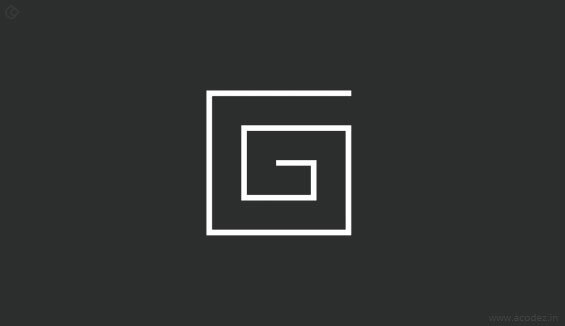 For me, it would be a beautifully designed aesthetic website that has some appealing colors, images, videos and a little bit of information. That is all that the web means for most of us. Some people take it to posting selfies on their Instagram and Facebook profiles and let me do some guesswork here; the web is all about selfying for these people. Posting selfies, updating statuses, online shopping, or E-learning, whatever we do, undoubtedly today the web is an inseparable part of our lives. Let us not underestimate the power of web designs and the geniuses of web designers in weaving the web magic. 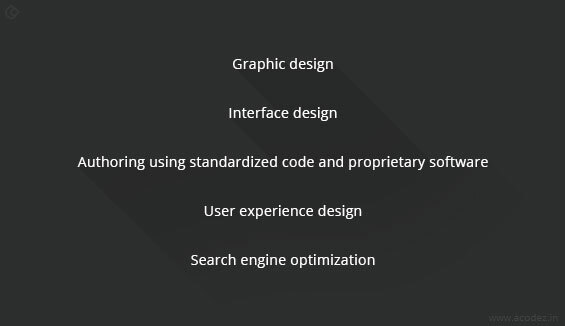 Here the question is what about the scope and future of Web Design? If someone were to ask this question to me, I would say that it is infinite. Now web Designers you will never be out of a job because the internet needs you for its survival and vice-versa. Your career may get sealed if one fine morning the internet decides to fade away. Sounds rude! But, unfortunately, that is a bitter truth and forms one of our worst nightmares. No worries! Your job is safe! The internet has no plans to quit at present. So enjoy and be proud to be a webie. Let me cheer you up with some awesome news about my anticipations and expert views on what the future and scope of the web will be. I can assure you that the Internet will continue ruling the world with 100% confidence. I don’t know how many of you are aware of the fact that the first kind of the Internet also referred to as the Intranet came to be launched somewhere around the 1960’s. Since then there has been no looking back though there has been inevitable and unprecedented progress every other day. And, we are all living evidence of this growth that continues to dominate millions of people all around the world. How can we connect technology and web design? So, where will this Contextual age take us to? How the Grid changes all? 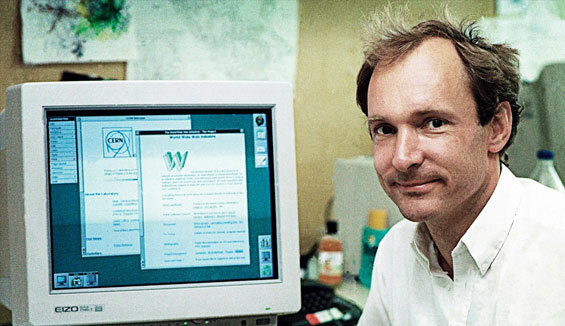 I have done my research before I set out to help you, and my sources reveal that Tim Berners-Lee was the person to create the first website design as early as in the 90’s. To be precise the exact date when the world got its first website is on the 1st of August, 1991. Almost 26 years have gone by since the first site was launched. Have you ever wondered what was your first website like? This first website has content that described what the World Wide Web is all about and also it contains a few links. The HTML page was a single-column design, and some inline links were fused in. Don’t know whether the new gen kids like you have ever seen what this resembles? 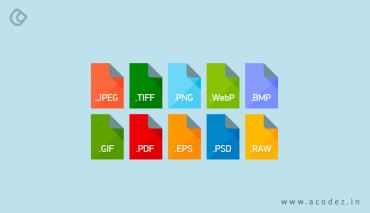 If you have had the luck to study the history of web designing or how it evolved, you might be aware of the standard structure of HTML pages that is more or less content based with a few tags like the heading, paragraphs and links. The Web is the property of all and not any single person. So, there should be some way to prevent individuals or organizations from disturbing the built-in ecosystem of the web. Commonly known as the W3 Consortium, which came to be formed in the year 1994 brought along with it the standardization of the web. It qualified HTML as the standard for marking up web pages. As time passed, several changes evolved, and we got table-based designs, followed by design over structure, flash based web designs, Macromedia Shockwave, DHTML, 3DML, CSS-Based designs and what not. Let me be frank with the things, as we have discussed the Internet has its roots of origin to somewhere back in the year 1969 and it took almost more than 30 years for it to evolve and reach the common man all around the world. So, my point is there are several things around us, and it takes not more than a minimum of 25-30 years for it to become a trend and an inseparable part of our lives. 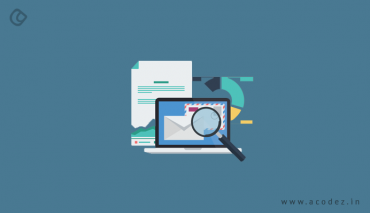 Let me take some other examples that include the CTSS Mail Service, which came to be launched in the year 1965 but it was not until in the 1990’s that Email services became available for people all over the world. 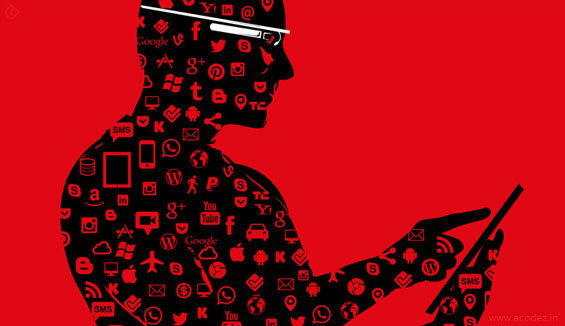 Similarly, the wearable computers that have become quite a trend now have its origin somewhere in the 1980’s and today Apple iWatch, Google Glasses and all are a part of our lives. So, what you are doing today will become a trend for years to come. These are examples of technology though the design is an equally important thing. 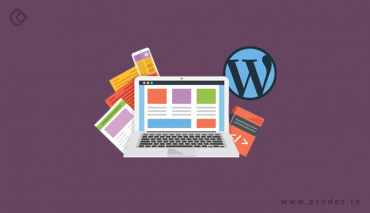 For that matter, if you check out the WordPress plugins that we use, each has evolved over time with an improvement in its functionality and beauty. As you see the kind of web designs that we have are responsive, single page web design, material design, card design, etc. The need for different types of designs depends on the content that you are viewing and the kind of device that is being used to view the content. Some might use desktops, laptops, tablets, or mobile for accessing the websites. The way we view these digitized documents has not changed much as cited by Nathan B. Weller. It looks like we are entering the contextual age as predicted by computer scientists decades back. 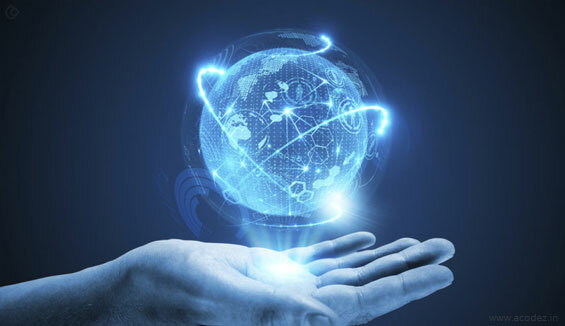 Contextual computing is nothing but, there will be a point of time when technology will trace what our needs are and what we are yearning to, what we wish to do, and accordingly integrate all these to make our lives easier without any botheration or effort from our side. I just can’t wait to be a part of the Age of Context. Yes, the Grid is considered to be the game changer. Using this Artificial Intelligence, you can build websites that alter or adapts itself to incorporate the content that is being added up. It looks like days of optimizing sites automatically that would be more of user-specific are not far behind. To be more precise, there will be a day when the websites would start adapting or changing according to the kind of users accessing these. 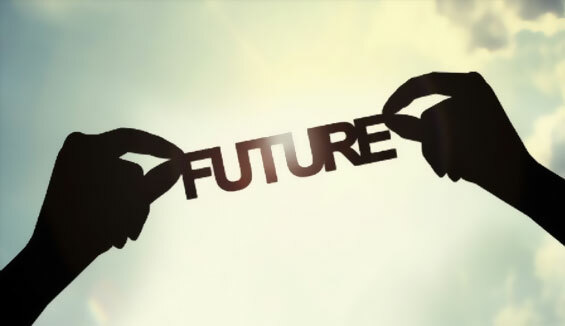 What can we expect in 20 years from now? The way we analyze and interpret information will take a different change. A website is nothing but something that showcases data or information. Imagine having a small chip or card placed in your memory that will bring you the reflection of anything and everything you wish to reach out. It means there will be no more the need for creating web pages or websites. Because we have turned ourselves into human-bots, that can feed information into our memories. So, what is the scope of your job web designers? It looks like you need to find another job for your bread and butter once we enter the Contextual Age. So is the case with Content Writers and others, because the context of viewing data and others are changing and you have to change. But again, as I said these are all my weird imaginations out of my weird memory box. These days outsourcing has become quite irrelevant. 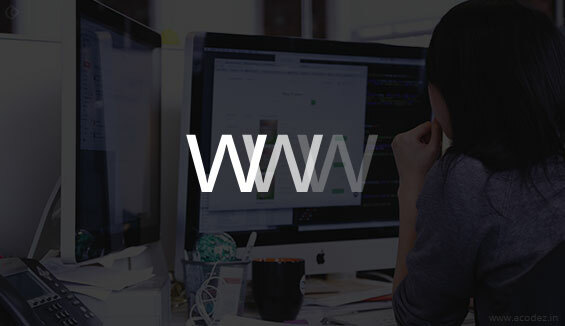 People establish in-house web design and development teams to get the work done. But, outsourcing is not dead. There have been certain discussions on the round where there are businesses who hired outsourcing agencies to help them develop websites but found out that things don’t work this way. They did a lot of rework, and there was wastage of money, time and other resources. This is the point when freelance designers emerged. Situations were much similar though there might be lesser loss of monetary resources. It is not necessary that they deliver the product keeping in synch with the requested timeline. If you see as Paul Boag has it designs are becoming modular and it is necessary that a whole dedicated team works on it providing continuous support and assistance. One of the reasons why several big heads today have an in-house web design and development team with them. So, today we can see that these corporates are seeking the help of agencies while working on bigger projects that their in-house team cannot accomplish by themselves. In-house team and outsourcing agencies work together. But still some companies depend upon Saas and the Grid to develop websites that are flexible. Though it has been found that these cannot meet up with the general requirements. While the above mentioned are merely enablers that help him or her bag the job the real skill set required to enable them to keep the job goes much deeper than this. It centers on the inherent need for a Web Designer to possess an aesthetic sense and ability to empathize with the audience to deliver an enhanced web viewing experience through their designs. Web Designing is a promising career opportunity which displays immense scope for interested candidates. In India, one of the biggest industry, which provides a possible room for Web Designing as a career opportunity is the IT or the software industry. Clients interested in getting their online presence established are approaching the software giants to get their Web sites designed. Therefore, the software stalwarts recruit experienced professionals who would be sufficiently qualified in executing the deliverables in quick turn around time. Also, they also welcome Freshers, who are put through rigorous training and then made to learn the ropes under the wings of the experienced seniors. This provides them with an excellent opportunity to learn the work hands-on. Most organizations also recruit web designers for their internal projects which have a distinct flavor of their own as it provides the opportunity for Designers to interact with major company stakeholders who run these internal initiatives. Web Designers are also required in the Media Industry like News or advertising agencies or even in the education industry developing educational websites and learning material for students. With such a wide canvas it is little wonder that Web Designers can etch out a promising roadmap for the future. Designers need to evolve beyond rigid design boards and emerge as architects of a new change which is redefining the traditional concepts of Web Design. Mobility first, Responsive Designs, Minimalist look, Content first approach are the new terminologies which need to be carved on their easel broadening their canvas a tad bit more. The onus is on them taking the cue and sketch out the new roadmap for the future. Acodez IT Solutions is a leading website designing company based in India providing web design and development services to people across the world. We constantly keep on updating with the latest trends to meet the emerging needs of our clients. We also experiment with innovative ideas to make it more easy and simple for people to use. We are also a digital marketing solutions provider helping businesses plan their online presence in a way that automatically makes them the apple of their customer’s eye. For web design services, contact us today. Suraja Nambiar, a post graduate in Information Technology started her career as a Software Engineer with TCS. Later on, she went on to pursue a career in content writing, following her instincts to write for the digital industry. At present she works as a Content Writer at Acodez IT solutions, providing consultation on building content marketing strategies and writing informative pieces of content that people are searching for. sir,I am doing M.SC(Physics}. I am thinking to do web designing next year.Is it right decision. If you are interested in web designing then I would suggest you go ahead. Web designing is one of those sectors that has a lot of scope for aspiring and passionate young minds who have talents and skills. i am ramya currently working as a web designer..i knew only html and css and graphic designs i like to learn java script and jquery but in office they are telling me to learn php…i dont know sir what to do which side i can concentrate?? First of all let me thank you for reading my blog. Focus on what you like to do. Fine tune your skills. The field of web design and development is vast and ever-expanding and there is a lot of scope for improvement. It is always great if you can have multiple skills in your kitty. PHP is one of those programming languages that is widely used and most designers are learning to code these days. Sir,I belongs to small town & learned web designing at my home town.now i want to earn money with the help of my web skill at my town.how to start my own business in this sector & how much i earn from it & how can i take help of experts while while doing my work & face problem in codding of the content of web designing ?Please give me a proper advice. 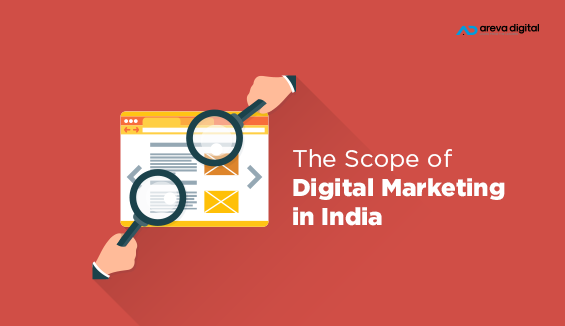 Thanks for reading my thoughts on the scope of web designing in India. If you are confident in your web development skills then, you can start offering your services as a freelance web design consultant. All the best! I am a b.tech graduate(Cse) seeking for a tech job. should move into UI orelse UI&UX. Can i work from home do freelance job after the web designing course ? Thank you Utkarsh for reading our blog. Your plans are great! I would suggest you to go ahead and try your luck at providing freelance web design services. Thank you for reading our blog Pankaj! I have just start to learn web designing. I have joined class in my town for it. I want to know that how can I know that I am going to the right way and my tutor knows it. How to know, I have been completely exceled in Web design. Thank you for reading our blog Vishal! Web design is one of those sectors that provides you with a vast scope for learning and improvising. If you have the skills and caliber and a flair to experiment and learn, then you should definitely try out your luck in web design. Hello Ruchira! Thank you for reading our blog! You look too confused at this stage. Think well before you jump into a decision. If you like web design, then I would suggest you to give it a try as it comes with a lot of scope and also, it would help you to secure a better job after your graduation. hello m a studnt of bsc i.t. nd i plan to do web designing after my final year.But shud i do it wid php or java of html ,m confused nd dont knw much abt d optns in it.can u suggest which one ‘s better.Nd instead of doing it frm a college if i do it frm an instiute which provides me a diploma instead of a clg degree,will dat hv a not so good impact on my future. hello m a studnt of bsc i.t. nd i plan to do web designing after my final year.But shud i do it wid php or java or html ,m confused nd dont knw much abt d optns in it.can u suggest which one ‘s better.Nd instead of doing it frm a college if i do it frm an instiute which provides me a diploma instead of a clg degree,will dat hv a not so good impact on my future. I am Anita and i have done M.A. in English.Should i go for web designing ? Hello Anitha, your choice is good to learn web designing. 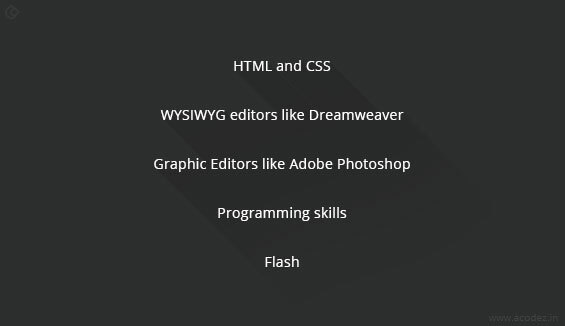 and this is not hard to learn, you can start your career as a web designer. I started after M.sc. Hello madam I m rohit and my age is 30 I want to do web design,pleas tells me should I go with it because I m job less from one year and in past I was an accountant but now I want to change the line.i m undergraduate, is there is bright future in this field for my kind of misleading person.pleas do me suggest the best think I’m very thankful to you please reply. hello madam..I am a housewife and I have done pgdca few years before..now I want to do web designing from home..can i do it..please guide me what should I do for further knowledge…thankyou. I have done B.com but I want to go web designing filled, is it right decesion?, please suggest me..
hello madam i m sujit shukla i have complete (MCA) and i have 1 year exp. in SEO but i am not happy in SEO and i am also know core php but i confused were i move php or web design plz rply. Thanks Mam for this post. Web development & designing is a good field Because as you know does not work without a computer and Nowadays would not work without the Internet. And finally Must create a website for increase your business on Internet. I’m confused. Currently I’m working in International BPO from last 5 months. Now I can’t be able to cope up with the shift timing. I want to go to web designing sector. So the point is that, am I making the right decision? I don’t know what to do now. If I get a chance to join web design industry , should I move from Tech Support Voice BPO industry to there? I have done B.Sc but i am intrested in drawing so I want to do 6 month web design course from arena animation instistute does it will give a bright future? Or shall i search job based on BSc? Plz suggest me. Ma’am I am in 12 class.I want to make my career in website designing.should I do it after 12th or after completing my graduation???? sir,I am doing B.tech(C.S.E}. I am thinking to do web designing .Is it right decision for me ? i have already learned html, css, php. sir,,m bhawna,,i am in B.tech final year right now,from cse,,i thinking for learning web desigining,,plz suggest that it is good or not,,or there is scope of or not,,m very fed up just because of my future. I have completed my graduation (BBA) a year ago and now I want to pursue towards web designing. Can I start my own projects through this by home itself? I am not able to go out of my hometown. Please suggest something. hello, i have completed my graduation(BCA from IGNOU).and now i want to know about web designing and development in detail.Kindly tell me what will i study during this course? I am persuing B.Tech. but I want to earn as a part time through designing skills from my home. i.e., I don’t want to do JOB, but I want to earn by myself through online. so, can you suggest me that how can I earn through online as I am beginner? hello, myself subhadip ghosh, i’m working as a web designer in kolkata at present. I’ve red your post and is now worried about the fact entire web-design industry might get obsolete in next 20yrs or so. If it really happens, then how will the entire scenario take place? what i mean is, how we would change our views and the way of our work ? 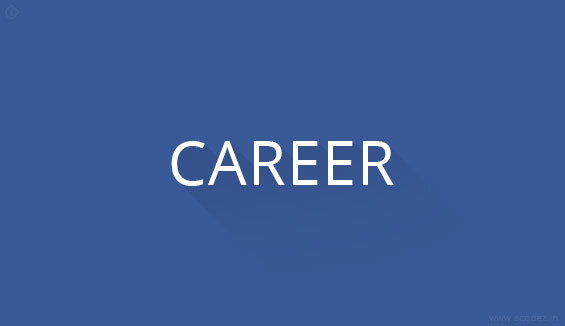 what are the future aspects of this carreer?? and what we should focus on? Hi, your post is really impressive, you have given a vivid focus on future prospect of Internet as well as newbie in Web Designing. Thank you a lot. Your post will help many career aspirants who want pursue career in Web/Graphic/SEO/PPC or Digital Marketing field also .. Which one is better web or android? I completed mca. m doing b.tech (IT) 2nd yr. .. i want to do something unique in mah field i have interest in Java and Web designing bt am confused from where i continue to enhance mah skills. ..mean which step by step procedure to become a perfect designer. .? is there any key skill required in opting the web designing as a carrier???????? perusing polytechnic final year. I want to become a web designer. So I want to know how could I start in web designing? I am 12 science pass and I plans to web designing it is right for me. Can I start my own business in future. All, who want to be a professional web designer in future. My suggestion is, try to build a habit of reading and hard work. Put minimum 3 hrs every day after your office, for nurturing new ideas for yourself. Thanx for all the information and the article. I’m interested to learn web designing.recently i have started going to classes in my locality. What are job opportunities for web designing and can u suggest which course is best and good. Hi, i’m a B.tech IT 2nd Year Student, i have gone through the above content and i really found it pretty amazing. I just wanna get your guidance regarding the scope of Back end web development via language like JAVA which i have done and also do highlight the importance of Internships and when should i start it .. Looking forward to you and Thanks in Advance….